Iowa Police Brutality Wrongful Death Attorneys | Hupy and Abraham, S.C.
How can a lawyer help me if my loved one was killed by police brutality? Your family is grieving the loss of a loved one that never should have happened. A police officer used excessive and unreasonable force, and that resulted in your loved one’s death. Your whole life has changed—and your loved one’s life has ended. You have many decisions to make as you struggle to move forward. 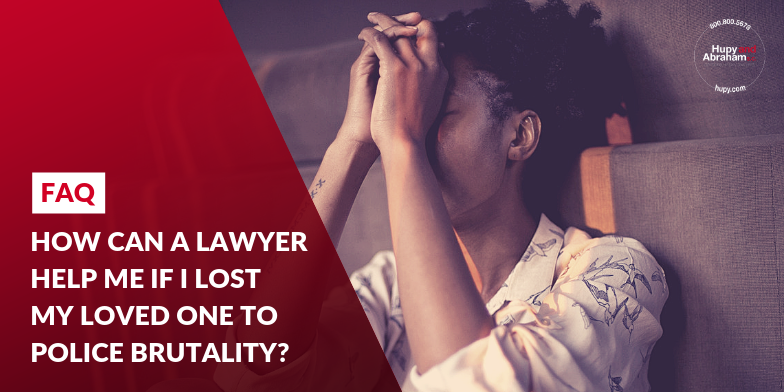 One of those decisions is whether or not to contact a police brutality attorney in the aftermath of your loved one’s wrongful death. Investigate what happened to your loved one. This includes preserving and analyzing evidence such as video surveillance footage and witness statements. Advise you on your legal options. You may have the right to pursue a police brutality case, to file a complaint with the police department, or to take other action. We can walk you through all of the pros and cons of each option. Fight for your family’s rights. You don’t need the stress of pursuing a police brutality claim on your own while you are mourning. Our attorneys can manage the day to day aspects of your case on behalf of your family. Before we can do any of this, however, you need to make the first call. You aren’t expected to know what to do when a police officer is responsible for your loved one’s death. We are here to walk you through all of your options as your family goes through this horrible time. Let us answer your questions in a free, no-obligation, confidential consultation. We would be happy to meet with you at your convenience in any of our Iowa offices, Cedar Rapids, Des Moines, or Quad Cities, or in a location that works for you. Call, text, or reach out to us via this website at any time to schedule your meeting.